Built on mutual respect & integrity. We take the relationships that we hold with other professional advisers very seriously. This is because we recognise that for financial planning to be truly effective we need the support of our clients accountants, solicitors and other business advisers. Therefore, we will always ask our clients’ to introduce us to their external team of advisers, so that we can make formal contact, and then look to collaborate on the work at hand. The benefit to the client of us doing this is that it enhances the opportunities available from an advice perspective, whilst also reducing the possibility of conflicting recommendations. The benefit to the trusted team of professional advisers is that it enhances the client experience, and improves your overall relationship. We always look to identify ways of referring new business to our professional partners, and of course welcome new referrals back to Longhurst. We know that, for many, independent chartered financial planning, and a pension transfer and later life specialism, are desirable, if not crucial service. We are pleased to be able to offer these specialisms in-house. Solicitors acting under the current Solicitors Regulation Authority (SRA) Code of Conduct should act in their clients’ best interests, and refer clients to a financial adviser. Whilst under the ICAEW Code of ethics accountants have a duty of care to their clients, and should ensure that they are introduced to an “independent financial adviser, which is, by definition, unbiased and unrestricted”. 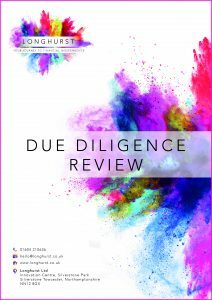 Our Professional Partner Due Diligence Document provides you with the peace of mind that Longhurst Limited are the most appropriate, and best suited, firm of independent financial advisers for your clients.